In 2006, Happy passed the "mark test," the highest level of mirror self recognition, when she touched the "X" marked above her eye, with her trunk upon her reflection in the mirror. The researcher, Dr. Plotinik, published the findings and Happy became a viral sensation. Elephants were now part of the eight species-group that can recognize their image in a mirror, an indication of self-awareness. Also, the Bronx Zoo announced after this study it would close its elephant exhibit after the last three remaining resident elephants (Happy, Maxine, Patty) die. Nine year later, Happy is 44-years old, isolated and with limited mobility in the Bronx Zoo. As in the picture above, Happy's pads are scrubbed to prevent foot and/or joint problem which is uncommon for wild Asian elephants that walk an average of 15 miles a day. Happy is isolated from the two alpha females Maxine and Patty who killed Happy's brother Grumpy in 2002. Tus, another elephant, died of unknown causes in 2002. A young elephant named Sammy was companied with Happy in 2002, but died four year later of liver disease. These three elephants' deaths within four years led to the Bronx Zoo's decision to close its elephant exhibit. Happy was isolated again and alone for now almost 10 years. Elephants live in groups in the wild and it is psychological warfare on a being as self-aware as Happy. In early 2014, I spoke to Rosemary Deluca, Assistant Director at Wildlife Conservation Society, at a community meeting held in the Bronx House. I handed her the New York Post story about Happy and spoke about Happy. I mentioned that In Defense of Animals (IDA) named the Bronx Zoo as one of the the top 10 worst zoos for elephants. Her initial response was whether I wanted Happy to be killed. I clarified that I wanted Happy released to a sanctuary. 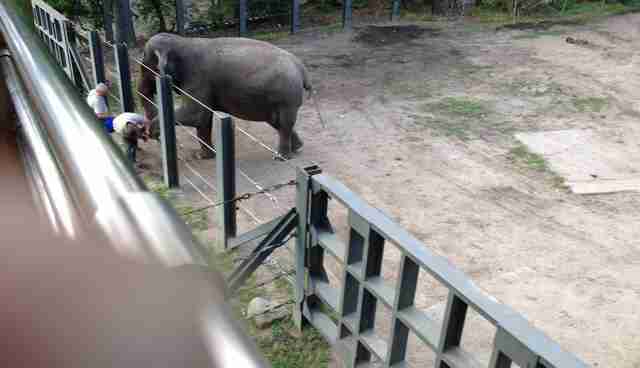 Ms. Deluca stated "no" and "the elephants are [their] animals and belong to the Zoo." This is the fundamental issue for non-human animals who have no rights to their own life or freedom despite their self-awareness. Today, I ask the Bronx Zoo (part of the Wildlife Conservation Society) to release Happy to a sanctuary to live her remaining 10 to 15 years of life. 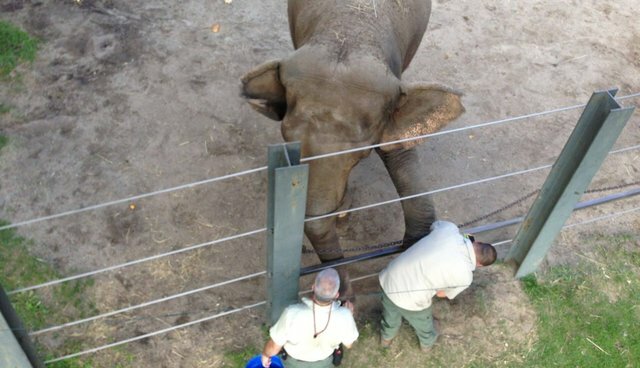 After close to 40 years living in the Bronx Zoo, Happy the lonely elephant deserves a happy ending. Read the New York Post's article about Happy.